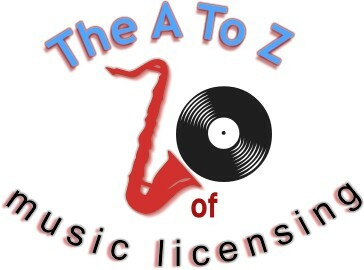 I came across a website yesterday thanks to Greg Kocis that holds some very interesting and exciting ways for an artist to find music licensing opportunities for TV shows on a national scale. One of the ways that an artist can find opportunities is by looking for TV shows that use music that is similar to their own style of music. But how do you find those shows? You can watch a lot of TV, listen for the music that is similar to yours and hopefully interest the Music Supervisor. I did a quick check and CBS currently has 32 shows listed. Multiply that by the number of channels out there (I'll let you count them up) and there are hundreds and hundreds of shows out there. Who has time to listen and watch that much TV? No one, that's who. In comes Tunefind.com, a website dedicated to finding music from TV and movies. I think the main point of it is to help people find that song they just heard on CSI: Miami or whatever. Cool idea actually. However, when I saw it, a whole other way of using the website occurred to me. What you do is search for well-known (and sometimes not so well-known) artists/bands in the same genre as you or your band. You now have an instant list of TV shows that have used music similar to yours, some of which you hadn't thought of before. Let's look at an example. Let's say you play bluesy, garage rock similar to The Black Keys. At tunefind.com, find The Black Keys by clicking the Artists link at the top of the page and selecting "T" (tricky). Click on The Black Keys and you find a number of shows and movies that have used their songs. I'm looking for TV shows that have used their music multiple times (my thought is that the show has use for that type of music frequently and it wasn't a one-time situation that probably won't be repeated). So glancing through the list I notice that Sons Of Anarchy keeps popping up as well as One Tree Hill, CSI: Miami and CSI: NY. Cool. Also cool is that these shows are still on the air, which means they still need music. So I click on the Sons of Anarchy link and start listening to all the other music they've been using to get a stronger sense of the type of music they use. The nice thing about the site is that you can listen to sound clips of the songs right there too, and there's usually a short description of the scene it was used in. This is important. Then what I do is go to the shows page on IMDB.com, click on the full cast and crew and scroll down until I find out who the Music Supervisors are for the show. If I can find out their contact information or start following them on Twitter, you can contact them saying you have a song that you think would work very well for a scene where Character A is in such and such situation (remember the importance of the scene description earlier?). Don't doubt that you will at least be listened to and considered. Wow, this is such a great and simple idea to implement! The only thing I was curious about is your mention of the importance of using a scene description. You reference it here but I can't find any more inf about that part. Maybe this is tied into another article? Would love to learn more about it. Thanks!! Thanks for the comment Jenn. I was referring to one sentence earlier in the previous paragraph. To expound on that a little bit though, I would say that a Music Supervisor is looking for music that will fit a mood or situation and often times concerning a character. So the idea would be to suggest that your song would be perfect for when the main character is dealing with deep emotions for example, or used for a fight scene. It just suggests a specific use instead of a generic "my song would be good for your show." Which might help things out a bit more the next time they run across a similar situation. Hopefully that makes more sense. Cool, thanks! That makes sense--appreciate the tips!